Need a USB jack for charging or powering a project, but don't want to lug around a computer? This switching supply gives a clean regulated output at up to 1000 mA! 110 or 240 input, so it works in any country. 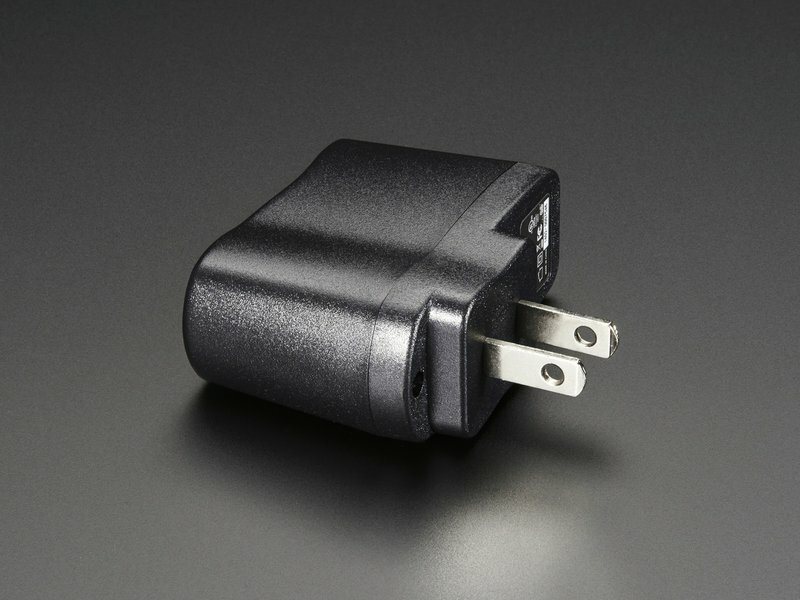 The plugs are "US 2-prong" style so you may need a plug adapter, but you can pick one up at any hardware store inexpensively. This adapter was specifically designed to provide 5.25 V not 5 V, but we still call it a 5 V USB adapter. This was done on purpose to solve a problem that occurs often with USB-powered gadgets: they draw so much current than the resistance of the cable causes a voltage drop, so instead of 5 V, the device sees 4.75 V or so. 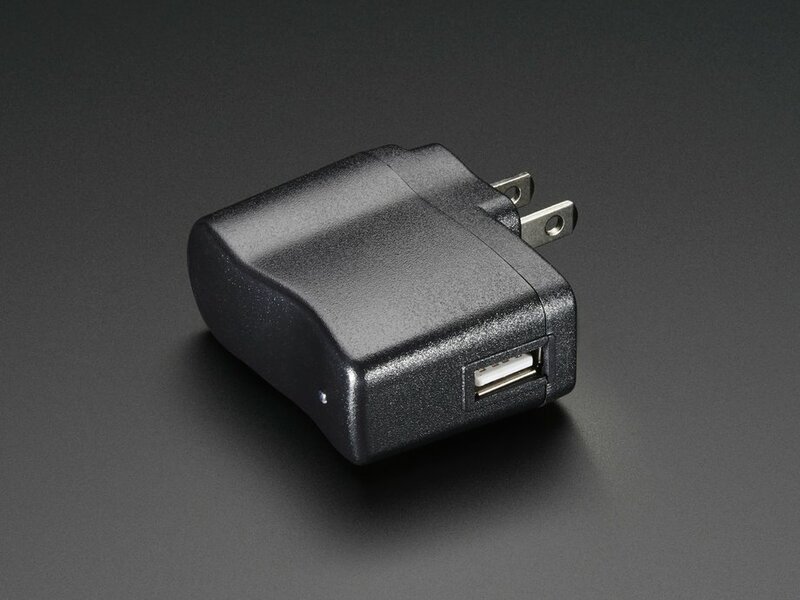 To avoid this problem, we made the adapter 5.25 V. This is because the USB power specification allows up to 5.25 V, and it's safe for all 5 V electronics, and has the benefit of making up for any loss due to thin USB cables. Basically, you can use it where ever USB 5 V power is needed, with no risk of damage, and it will happily work at the full current range, no matter what cable you use! 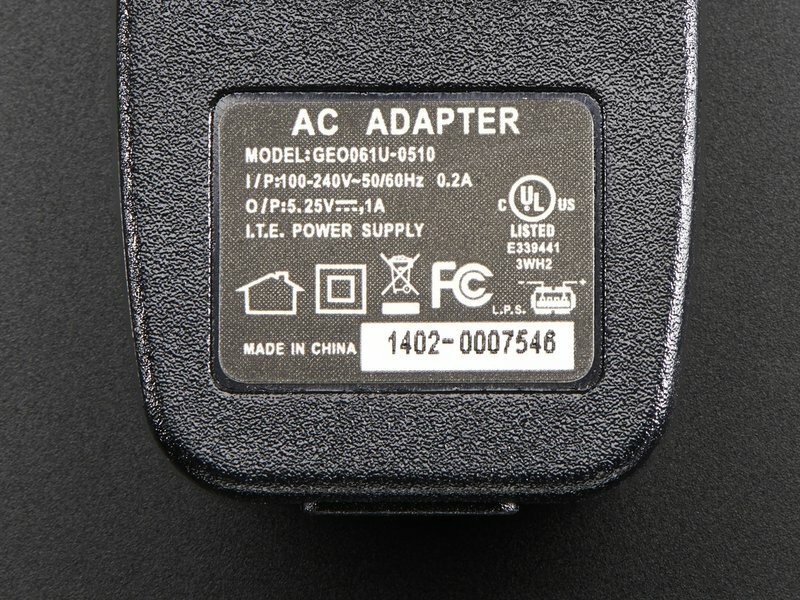 The adapter does not have a cable, instead there is a USB 'A' type port on the bottom, where you can plug any USB cable in. The data lines have resistors on them, to match what is inside of an 'Apple iPhone' type charger, and this adapter has been successfully tested with an iPhone 4 so it ought to work with anything that can charge with an iPhone adapter. This particular adapter is very nice, with a red indicator LED to let you know it's working. RoHS compliant.